One of the things about Blackberry devices that is most liked by users is the Blackberry Messenger service. If you are an Android user that used to have a Blackberry that may well be the only thing you really miss from the Blackberry. Apparently, that BBM service is heading to Android devices and will let you get back on BBM if you want. 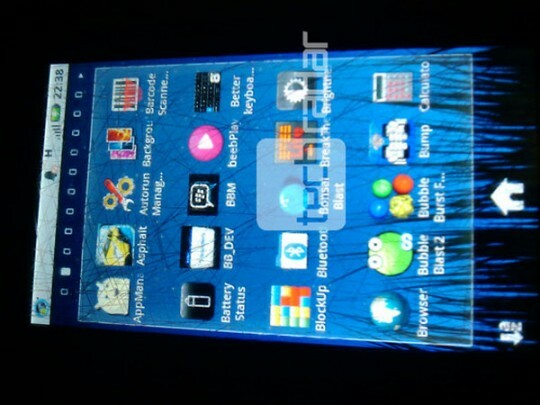 TechRadar has landed what are supposedly the first screenshots of the BBM on Android to surface. The port from Blackberry to Android has been rumored in the past, but this is the first time screen shots have surfaced. BBM for Android is expected to land in 2012. The screen shots show the BBM icon on the Android home page of the device in the photos. The other screen shot shows the contract profile page. The source of the leaked documents also claims that the BBM will work with push notifications on Android. The legitimacy of these screens can’t be verified so we have to be a little suspicious. What do you think? Are these shots real and are you excited to see BBM come to Android?